Early in Joanna Trollope’s modern-set rewrite of Sense and Sensibility, Fanny Dashwood sweeps into Norland, which she is going to run as a commercial concern (a B&B), and tosses out the rumpled, genteel, shabby-chic furnishings, replacing them with shiny sleek modern decor. When we first heard about what Harper is calling The Austen Project, we were intrigued by the idea, but had a difficult time figuring out what Harper was trying to accomplish. 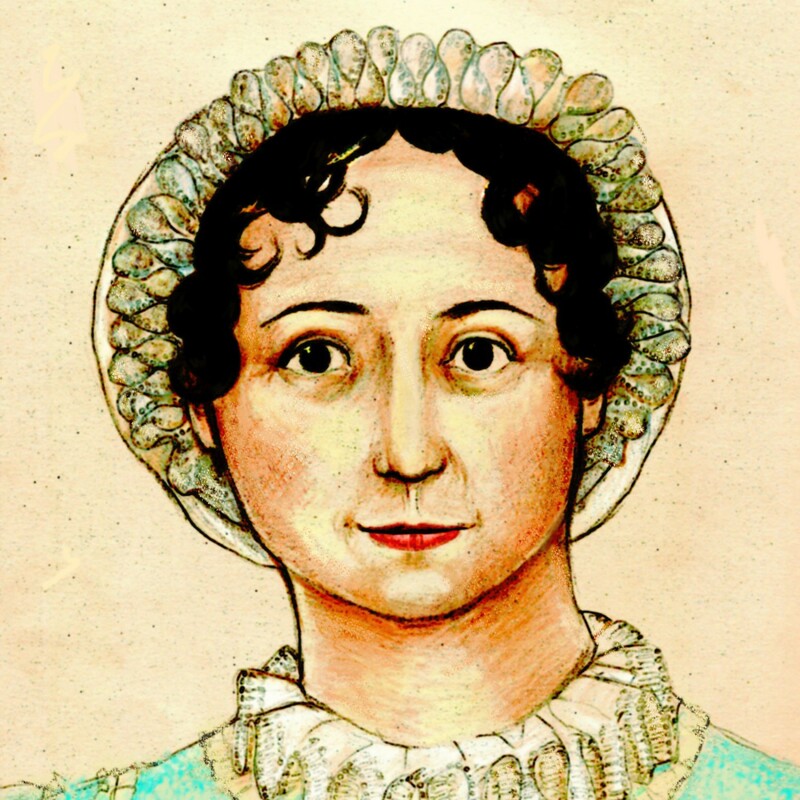 It’s one thing if an author is inspired by the idea of writing a book based upon one of Jane Austen’s novels. No matter one’s feelings about such an endeavor in general, it is coming from the author’s inspiration. She may want to play with the characters in a modern setting; he may want to tell a story about what happened to the characters next; she may want to introduce a spanner into the works, and see what happens. In all of these cases, the author is trying to accomplish something. None of the authors involved with The Austen Project had a thought to doing this on his or her own; they were all assigned the book by the publisher. Why did they accept? For money? Perhaps. There’s nothing wrong with that; we don’t think Jane Austen would have begrudged any author some “pewter” for his or her work. 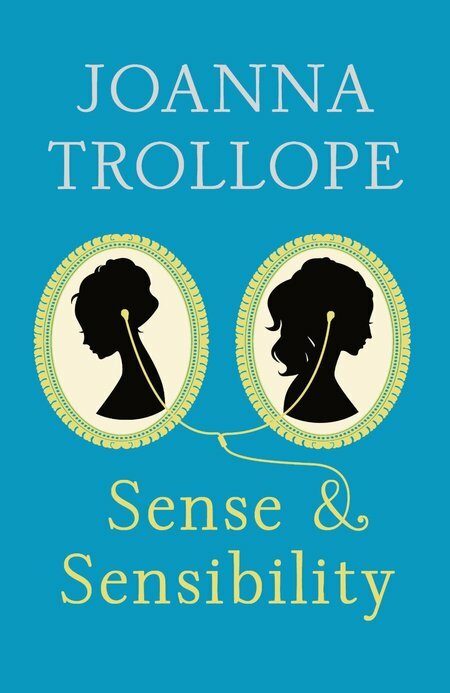 But we felt like there was no heart or soul to Ms. Trollope’s workmanlike rewrite of Sense and Sensibility. At best, it could be considered an intellectual exercise, and we hope that for Ms. Trollope’s sake, it was. We liked this book. It was a pleasant and enjoyable read, at times funny, and with a few scenes that we really liked. (One in particular should satisfy those who howl that Marianne and Colonel Brandon are ill-suited: they discuss who was more broken-hearted over their lost first loves. They really are a lot alike.) There’s nothing wrong with this book. But in our way we are as romantic as Marianne Dashwood. We think anything associated with Jane Austen should make our heart sing. We should love it, and not by halves. On Goodreads, our personal star-rating system is: 1, hated it; 2, didn’t like it very much; 3, liked it, would recommend; 4, loved it; 5, want to get naked and roll around in it. This book will get a 3 on that scale. We liked it, sure, but we didn’t get “any burst of feeling, any warmth of indignation or delight, at the evil or good” from it, either. If you are curious, read it; just don’t expect to love it. We borrowed a copy of this book from our local public library. I was very disappointed, especially as I usually love Trollope’s writing, but I just felt her modern bits clashed terribly, instead of being naturally woven into the story. Mags, I still have not read my copy. The thought of Katie Price, black mascara eyes, glaring out from the front of her fourth, or it could be fifth biography(ghost written),full of rumpy pumpy, she is barely into her thirties, looking licentious to say the least beside Joanne Trollope’s Sense and Sensibilty on my local supermarket shelf, leaves a damaging impression. For a modern rewriting Joanna Trollope has created a new form of English. Did you find it as strange to read as I did? The following morning Sir John. Blithely oblivious to any reservations his guests might have had about their evening at Barton Park, sent Thomas in the Range Rover to collect them all for a tour of his offices and design studio. Margaret, in particular was appalled. There seems to be a mixture of a certain English that is between Jane Auten’s use of words, phrases and sentence constructions, a smattering of modern day youth culture slang, such as ,”gross,” and Sir John himself using the lazy modern Americanised, “yup,” for yes. What also amazed me is Jonna Trollope’s knowledge of flashy sports cars and the cars of choice of the English gentry and middle classes today. Within a short space of a few pages, Aston Martins, Range Rovers, and Alfa Romeo Spiders were all mentioned. Did she study an edition of Classic Car magazine I wonder? Like you Mags, I wonder who this rewriting is aimed at. The true Janeite reads Jane, not Joanna. Modern books written about the aristocracy are certainly not going to attract young readers even if a bit of street language is mixed in with well rounded vowels. I must admit I don’t believe in giving novels or anything else a start rating. That is far far too simplistic a way of judging that market researchers use to find what coffee you like, Mags. As far as the star rating goes: that’s what Goodreads uses. It’s useful when I can’t be arsed (to use some British slang, there you go, Tony!) to write a proper review (as I use Goodreads to track nearly all the books I read). I felt it described my feelings about this book quite well. Three stars. Middling. That’s really the only reason I brought it up in the first place. It is definitely set among the upper classes, with the Dashwoods not really quite a part of it, though they had been sort of at one time as the wife and daughters of the owner of Norland. It really isn’t trashy at all. Maybe Lucy and Anne Steele, but that’s as it should be. I liked Margaret the best–she is a smart-mouthed preteen called Mags so naturally I felt an affinity. 😉 I find it quite natural that a 13-year-old in 2013 would use slang. Like I said in the review–I didn’t hate it, I even really liked parts of it, but I just didn’t love it. And I really love S&S. Tony, I do think you’ve touched on something, though–there are two kinds of Austen follow-ons. One kind is marketed to and meant for Janeites, and probably won’t appeal as much to the general public. The other kind is meant for the general public, and might not appeal as much to Janeites (the P.D. James book, these Austen Project books). The second group is much larger than the first, and that’s why these quasi-Austen things are going to be keeping strange company. They share an audience. We may not be it. That’s not to say that there won’t be some crossover–some Austen fans who love these, some Great Unwashed who love the Janeite stuff–but in a Venn diagram, I think the crossover would be pretty small. No, I have not read it. I just dipped in to find out how it might have been written.